On February the 7th, 2016, it is the 110th anniversary since the birthday of the outstanding person, general designer of aircraft, member of the Academy of Since of Ukraine, professor Oleg Konstantinovich Antonov. This day is particular for those who at least once met Oleg Antonov or joined his famous heritage. “Renowned as an aircraft designer”, “outstanding manager”, “bright illustrious person”, “artist”, “writer”, “sportsmen” – are a part on list of his personality features. 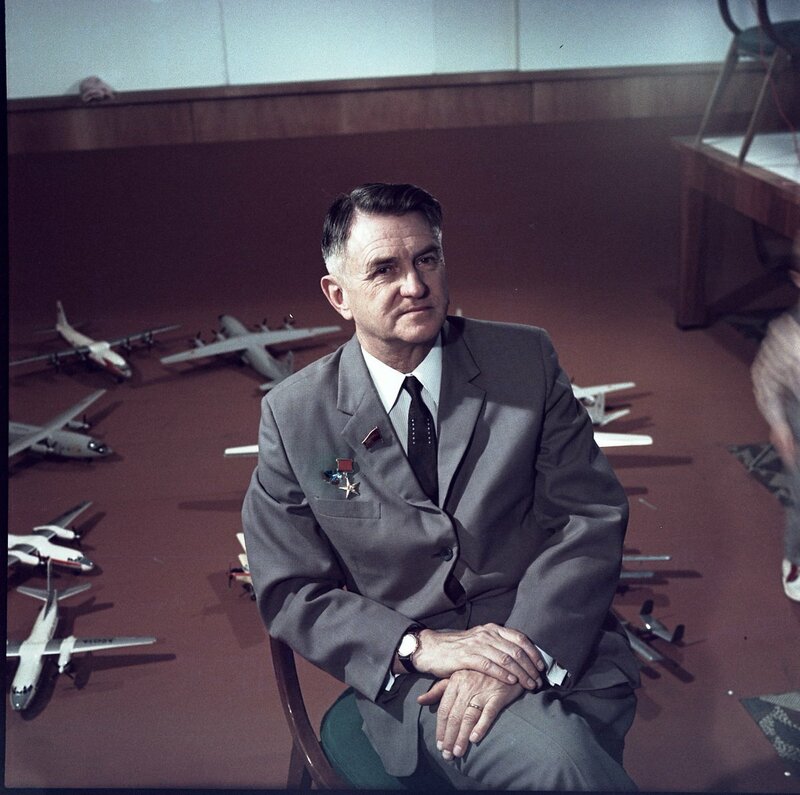 Oleg Antonov devoted his life to realize the child’s dream – aspiration for flying. He created 52 types of gliders and 22 types of planes including those with the highest carrying capacity, made every effort to design numbers of other aircraft, established the origin school for design of transport, regional passenger and special purpose aircraft, brought up deserving successors of his deal, founded the enterprise which is named after him nowadays. The traditions, based by Oleg Antonov, his foresight let Antonov Company to overcome hard times and remained a leader in aviation field in modern Ukraine. Antonov employees hold a number of actions devoted to the anniversary of the founder of their enterprise. In particular, they organized meetings with veterans who had been working with Oleg Antonov, photo exposition reflecting different sides of Oleg Antonov’s life. Representatives of National Academy of Sciences of Ukraine, partner enterprises, institutes of Ukraine reported at an extended conference of Scientific-Technical Council of Antonov Company. Crew members, veteran-test pilots of famous Antonov aircraft initiated setting up a monument to Oleg Konstantinovich Antonov in Kyiv because the life of this person is a source of rapturous reminiscences, inspiration and uninterrupted aspiration forward, worth example for modern youth and future generations! An undeniable legend of the aviation industry! Happy 110th anniversary, Oleg! I wonder how many of the smallest plane could fit inside the gargantuan 225 on the right. Quite the size comparison! The Royal Aviation Museum of Western Canada’s has opened an exhibition of Antonov’s planes. @AntonovCompany wrote: #ANTONOV celebrate 111th anniversary of its founder – famouse aircraft designer Oleg Konstiantynovich Antonov. Antonov Company - 71 years! Antonov Company wrote: On May 31, 2017 Antonov Company celebrates the 71st anniversary since the founding. Today, our company is one of several enterprises having the whole cycle of creation of modern aircraft – from pre-project scientific researches to construction, tests, certification, serial production and after-sale support.